With the debut of The Immortal Life of Henrietta Lacks on HBO in April 2017, this remarkable American story—a story involving tragedy, duplicity, racism, and cutting-edge science that has undoubtedly saved many lives—had once again been brought back to the forefront of our shared consciousness. 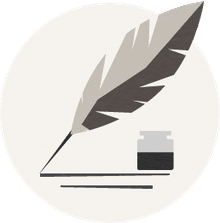 A similar wave of awareness happened in 2010 when Rebecca Skloot’s book was published, telling a story that seemed to many to be the stuff of science fiction or perhaps a new Alien film by Ridley Scott. It had the untimely death of a young mother of five children, the harvesting of cancer cells from her body without her family’s informed consent, and the remarkable ‛immortality’ of those cells, which continued to grow and reproduce outside of her body until the present day. Henrietta Lacks was just 31 when she died, but in a way, she’s still alive. The cells taken from her body were code-named HeLa cells, and they have been continuously involved in medical research ever since. They continue to reproduce, replicating some of the most remarkable DNA ever cataloged—DNA made even more remarkable by the seeming ordinariness of Lacks’ life. Lacks’ mother died when she was very young, and her father moved her and many of her nine siblings to other relatives because he was unable to care for them all by himself. She lived with her cousin and future husband for a time as a child, got married at age 21, had five children, and shortly after her youngest son was born was diagnosed with cancer and passed away shortly thereafter. No one could have predicted that Lacks would become legendary, or that her physical being would contribute so much to medical research that might someday save us all from cancer. Despite having a book and a major TV movie made about her life, there’s still a lot of people don’t understand about Henrietta Lacks’ existence. The more you read about her and her genetic material, the more amazing the story really becomes—and the more distorted the story becomes as well. Here are five things about Henrietta Lacks and her HeLa cells that will surprise you and remind you that life is still the most compelling mystery in the universe—that no matter how much technology we have at our disposal, we still don’t truly comprehend one of the most fundamental forces of our existences. Although ultimately it would not have made any difference in her treatment, Lacks’ experience dealing with her illness will strike anyone who has dealt with a cancer diagnosis as grimly familiar. When she initially felt something wrong—describing it as a “knot” in her womb—friends and family assumed she was pregnant. While Lacks was coincidentally pregnant, it’s still painfully common for people to self-diagnose benign conditions when the symptoms of cancer first present themselves, which often results in a devastating delay in getting proper treatment. When Lacks had her fifth baby, she hemorrhaged and the doctors knew something was wrong. First, they checked to see if she had syphilis, and when they did do a biopsy on the mass they misdiagnosed her with cervical cancer when she actually had a different form of cancer known as adenocarcinoma. The treatment offered would not have changed, but the fact is that today many people are still dealing with slow-moving and imprecise diagnoses when it comes to cancer. 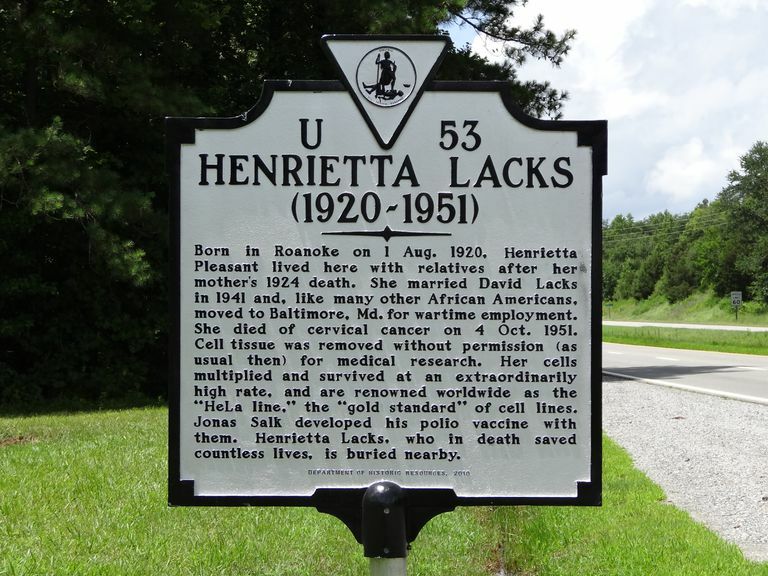 One of the most-repeated bits of trivia about Henrietta Lacks and her immortal cells is that they are so prevalent and important they can be easily ordered by calling a 1-800 number. That is true—but it’s actually much stranger than that. There isn’t one, single 800 line to call—there are several, and you can also order HeLa cells over the Internet at a plethora of websites. This is the digital age, after all, and one imagines it won’t be too long before you can have some HeLa cell lines delivered from Amazon via drone. Another oft-quoted fact is that there have been 20 tons (or 50 million metric tons) of her cells grown over the years, which is a mind-blowing number considering the woman herself probably weighed much less than 200 pounds at the time of her death. The second number—50 million metric tons—comes directly from the book, but it’s actually phrased as an extrapolation of how much genetic material might possibly be produced from the HeLa line, and the doctor offering the estimate expresses doubt that it could be that much. As for the first number, Skloot specifically says in the book, “There’s no way of knowing exactly how many of Henrietta’s cells are alive today.” The sheer size of those data points makes them irresistible to folks writing “hot takes” on the subject, but the truth might be much lower. Henrietta Lacks’ cancer cells are so remarkably powerful, in fact, that their use in medical research has had a wholly unexpected side effect: They’re invading everything. The HeLa cell lines are so hearty and so easy to grow they have proved to have a bad tendency to invade other cells lines in the lab and contaminate them! It’s a huge problem because the HeLa cells are cancer, so if they get into another cell line your results will be dangerously skewed when looking for ways to treat the disease. There are labs that forbid HeLa cells from being brought inside for this precise reason—once they’re exposed to the lab environment, you run the risk of getting HeLa cells into just about everything you’re doing. Henrietta’s cells are not exactly human anymore—their chromosomal makeup is different, for one thing, and it’s not like they’ll slowly form into a clone of Henrietta any time soon. Their very differentness is what has made them so important. No matter how strange it might sound, some scientists actually believe the HeLa cells are a whole new species. Strictly applying criteria for identifying new species, Dr. Leigh Van Valen proposed that HeLa be recognized as a wholly new form of life in a paper published in 1991. The majority of the scientific community has argued otherwise, however, and so HeLa remains officially just the most unusual human cells to ever exist—but the thought it out there.